The goal of this analysis is to determine if there is a viable investment strategy in the stock Square. The company with the best metric value is given a score of 14 (as there are 14 companies in the group we are looking at), the second best a 13, and so on. The ranking process is repeated for each metric and then all of the scores for the particular factor are summed. The grand total is then re-ranked and the best company for the particular factor becomes apparent. INVRS lets you analyze a company in any way you wish. It's an extremely robust and flexible platform allowing you to easily accomplish two of the most difficult, yet profitable investment tasks: create investment models and perform peer based analysis. Date: This analysis was performed on Sunday, November 25, 2018 and uses the closing prices from the 23rd. Let's start with an overview of the market and sector. Let's look at a year price graph and then review momentum. Both the market and the sector are showing a similar pattern - positive price momentum in the long-term category, becoming weaker over the medium term and turning negative in the short term. This trend is not favourable to a long position in the near term and a short could be premature. From a purely ranking perspective, CDW has the best price momentum. SQ is fifth. However, we're seeing the same pattern we saw with the market and industry: long & medium term positive momentum turning negative in the short term. We're also seeing that the company with the greatest positive long & medium term momentum also has the greatest negative short term momentum, which happens to be SQ. Note: there were a couple of tied values in this factor, which is why it ranges from 14 to 4. The highest quality stock is WIT, SQ was the third highest. SQ has the highest growth rate. Although some of these companies in this peer group offer a dividend, SQ does not, so we won't look at this factor. Theoretical price (as calculated using the Ohlson Clean Surplus (OCS), for more information on the valuation tool, please review this article) over current price. * negative denominator, nonsensical value. SQ is showing poor value, the fifth lowest score. SQ profitability showing is poor at 3. SQ's standout characteristic is its growth rate. Out of a group of 14 peers, it achieved the highest combined score for growth as well as had the highest individual scores for free cash flow and gross margin. It was also strong in quality, with the third highest position. The bear story is that it's expensive and it doesn't have strong profitability. Furthermore the price momentum for the stock, sector and the market appears to be at an inflection point - possible changing from direction from upward to down. My opinion is there is a lot of risk with a position in the stock at this time. I would remain on the sidelines until a clearer story emerges. Would you go out in this? Alphabet, Inc. is a holding company, which engages in the business of acquisition and operation of different companies. It operates through the Google and Other Bets segments. The Google segment includes its main Internet products such as Ads, Android, Chrome, Commerce, Google Cloud, Google Maps, Google Play, Hardware, Search, and YouTube. The Other B)ets segment includes businesses such as Access, Calico, CapitalG, GV, Nest, Verily, Waymo, and X. The company was founded by Lawrence E. Page and Sergey Mikhaylovich Brin on October 2, 2015 and is headquartered in Mountain View, CA. This will be a general analysis reviewing the following areas: earnings quality, growth, value and dividends. We'll also look at R&D investment as an indicator of potential competitive advantage, sales per employee as an indicator of efficiency and relative earnings growth compared to price growth. It will be a peer based analysis as it's a good way to give the results context and an opportunity to uncover other opportunities. We'll use as a peer group the group of stocks popularly known as FAANG, but we'll substitute in MSFT instead of NFLX. These are the biggest companies in North America, if size was the only qualifying factor, we'd also include Berkshire Hathaway. We're going to exclude it as this group is technologically focused. It's a fact that earnings can be manipulated and changed by accounting-driven decisions. We want earnings that are persistent, can be expected to repeat and aren't the result of one-off events or management tinkering. I use an nine part quality of earnings framework based off the work of two academics, Lev & Thiagarajan. You can read their original paper here. You can read my adaptation here. The framework looks at nine areas in the financial statements: inventories, receivables, capital expenditures, research & development, gross income, selling-general-administrative expenses, sales per employees, tax rate and audit opinion. The first two, the fourth, fifth and six are compared to sales levels, capex and/or r&d are compared to industry averages (I use a peer group average as a proxy), the tax rate measures seeks to remove the effect of an earnings bump from a reduction in the tax rate and the a last one looks for a clean audit opinion. When any of these measures give a favourable signal, it gets a score of one. All the scores are summed to get a total out of nine, the higher the better. GOOG at 4/9 isn't good. We have to be skeptical of their earnings results now. FB is great, It's actually perfect - 8/8 as they don't carry inventories (everyone else does). I almost never see perfect scores. These are all decent results, especially of course GOOG and FB. As a point of interest, GOOG missed increasing earnings between the most recent year Y and the year previous Y-1 and FB missed between year six and seven. Remember the quality of earnings, GOOG's aren't as trustworthy as FB's. This measure is known as the earnings yield and it's the reciprocal of the PE ratio, however I tweak it so that rather than a static number, earning divided by price, I take the change in earnings over a period of time divided by the change in price over a period of time. I'm looking to see if earnings growth has outpaced the growth in price of vice versa. If the number is greater than one, I consider that a good sign, if it's between 1 and 0 I consider it less promising. The period of time used to measure the change is three years. The change in earnings and the change in price for GOOG is almost equivalent. On the other two extremes, FB has seen more earnings increase than price and AMZN has seen more price increase than earnings change. We'll work with four value metrics - P/E ratio, EV/EBITDA, Ohlson Clean Surplus (OCS) and Discounted Cash Flow (DCF). We're looking for consistency in the value story. I debated using this one because it's so similar to earnings yield we already used. I decided to because it's so ubiquitous and its handy to know what a dollar of earnings cost. GOOG trades at 47x earnings. How do you feel about that? Similar to a PE ratio, this valuation model looks at what one dollar of earnings costs the investor, but using enterprise value and EBITDA instead of price and earnings strips out the effects of different capital structures and lease versus purchase decisions. Since we've already got a PE ratio, I thought that looking at this metric over time would give us more information. This metric is the current EV/EBITDA divided by the EV/EBITDA from three years ago. A value greater than one means the stock has become relatively more expensive. Between 0 and 1 and the stock has become less. Except for FB, they've all become more expensive and GOOG has increased its dearness the most. 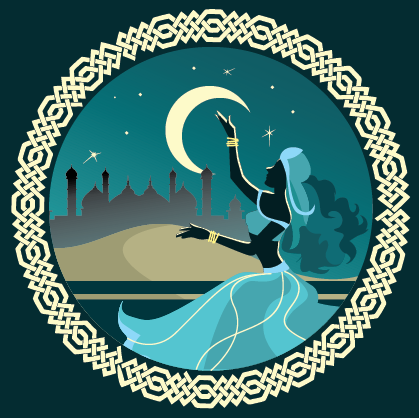 The OCS is an interesting valuation model that calculates a theoretical stock value. While I don't hold it out to be an exact value, it can give a decent ball park or at least an indication whether the stock is over, under or fairly valued. For a detailed explanation of the model, please review this article. Academic testing demonstrates that the model has predictive results two to three years out. All of these companies look over-priced. There are tweaks that can be made to the model, but even with adjustments GOOG is still trading at a premium. The graph below shows by how much the stock is trading over its theoretical price. Google is trading at 5x its theoretical price. This model can get elaborate with individual rates for each future year. I'm going to keep it simple. I'm using the most current free cash flow per share figure, the firm's rate calculated for the OCS (which isn't a WAAC, it's just the risk free rate + the company's beta x the market premium using 7% as the expected rate of return for the market) and I'll do a range of terminal growth rates 0%, 1%, 2% and 3%. Again, on the surface, these stocks all appear over-valued, however we're used to seeing these companies command a large premium. GOOG doesn't offer a dividend so this analysis won't delve into income. Just as information, AAPL and MSFT have dividend yields of 1.56% and 1.7% respectively. We'll look at a couple of other factors in this analysis: R&D spend as a percentage of sales and sales per employee. The former can inform us how "relevant" they may be in the future and the later gives us an idea how efficient the company is. GOOG's is the second highest spend of the group and it's spend has been increasing moderately over time, both factors are appealing. GOOG looks good according to this metric. Although it's middle of the road compared to its peers, it's been trending up over time. The GOOG's potential investment story is growth, not income, not value. Growth can be measured in different ways but I think the most pragmatic and important measure is earnings. Earnings are what turns companies in their stock market firmament. The question then becomes a) how good are those earnings and b) how expensive is that growth? Let's start with the first question. GOOG doesn't have the quality of earnings and it's earnings growth has been good, but I'm bothered by the fact that the one year it didn't grow was its most recent year. If I'm making an investment decision based on earnings, I want to feel good about them. I don't. Not as good as I'd like if I was going to pay 47x earnings. Which brings us to the second factor. A aura has developed around these big tech players and it seems that the usual valuation laws don't apply to them. I will concede that their cultures encourage innovation. I will concede that they are very well managed. And I will concede that they've changed the world at least once and may do so again. Those three factors may allow for some valuation rules to be more flexibly applied. What one is willing to pay for growth is a bit of a personal question. Based on the information in this analysis, relative to its peers, GOOG is middle of the road on OCS, Price to Theoretical Price and DCF. But relative to three years ago, it's become 38% more expensive using the EV/EBITDA measure. That's the biggest jump of the group. This is a difficult conclusion to make so I'm only going to speak of what I would do. I don't like the cost of those earnings when I question how good they are. I wouldn't buy. I would also take profits if I was long. This analysis indicates that FB might be a good candidate - it's got the high quality earnings and the stock is less expensive relative to the group. I do want to point out that AAPL and MSFT may have merit that wasn't fully explored in this analysis because they both have an income component. You can do amazing things with INVRS - build investment models, do peer based analysis and create investment reports. Wouldn't you like to see for yourself? Sign up for a free two-week trial and put the effort into learning the software using our myriad of learning tools. If you're a numbers geek with a curious and creative mind, we're your ticket to unique investment insight. It's a numbers game, maybe like Bingo. Nobody knows the future, but developing our skills in probability analysis will make us better at preparing for it. We can use probability at any level - global, country, market, industry, company. We can use it for an event, for example the probability of the price of gold increasing or the trend of interest rates. For this example, we'll use probability at the U.S. market level. The question we'll attempt to answer using probability is "does the bull market have more to run, or are we at the top?" We'll begin by listing the factors that influence, not just any bull market, but this one. Remember, the factors I choose and the probabilities I assign are my decisions. You may come up with different factors and different probabilities. In my opinion, this bull market was created in the aftermath of the global financial crisis. It was built on earnings, incredibly loose monetary policy and a new tool called quantitative easing. As those factors change the nature of the market will change. In considering what I think are the key factors of this market, I'll look at other factors coming into play: fiscal stimulus, tariffs, a movement toward less globalization/more isolation and less friendly immigration policies. Finally there is always a wild card, a black swan event - a surprise event that packs a wallop but seems obvious in hindsight. Where a, b, c, are the probabilities associated with the factor they are attached to. The next step is to relatively weight each factor. For me, I think that monetary policy has been twice as important than earnings earnings and a black swan event could be twice as important as monetary policy. I therefore give weights of 1, 2, and 4 for earnings, monetary policy and black swan respectively. The next step is to look at what could impact the factors. Once the factors are evaluated, we must decide on a probability between -1 and 1. A positive probability indicates that I believe the outlook for the factor is favorable to a continued bull run (in this example). A negative probability indicates that the outlook is not favorable. Tax cuts may increase earnings. Companies may be able to keep more of what they earn and their sales might increase if people have more disposable income. Earnings might decrease because of rising inputs from tariffs and wages. Out of country sales may drop in retaliation for tariffs and antagonistic international policies. Population growth will slow if immigration becomes more difficult which indicates less demand for goods and services. In my opinion, the earnings effect has run it's course. There are more factors now to weigh on earnings than to support them. The sign is therefore negative and I also feel the probability is relatively high. Let's say -70%. This past 10-year long cycle has been unique with it's use of quantitative easing. The policy poured an enormous amount of liquidity into the market and kept interest rates very low. It's in in the process of unwinding now; the bonds that were purchased during QE are maturing and not being replaced. This reduction in bond demand is pushing up yields. The federal reserve has also been raising it's benchmark rate and has signaled that further hikes are in the cards. 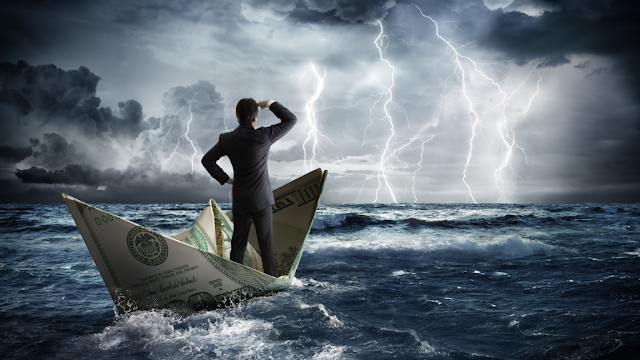 If stock market started to drop, could the Fed change course and re-instate QE? Yes they could (not that they would) if inflation isn't a factor. If it is, they will have to make that their priority, in my opinion. Currently it looks like the Fed is doing a good job of normalizing monetary policy. They've gotten rates up and inflation is under-control. However, it would be imprudent to ignore the inflationary factors currently in play: tax cuts, tariffs, full-employment. If inflation starts to kick in and I believe it will, they'll have to tighten things up. A black swan event is by definition difficult to predict. It could be anything, but is should have some relevance in what's going on now. Here's some ideas: the collapse of sovereign monetary systems and the development of an international, gold backed cyber-currency. Trade war that heats up to hot war. Trump's unconventional and unprecedented policies work out in a spectacular fashion. You could give probabilities to all the black swans you identify or you can just work with the one you think is most important or likely. I'll work with all three for this example. Let's say they all warrant a relative "4" for strength of impact. What counts next is the probabilities. The first example, I'm going to give a probability of .5%. The second 15%, the third 7%. The signs are negative, negative, positive. Because they all have the same weighting I can just sum the probabilities of the individual black swan events to get a black swan probability. The probability of a black swan event in this example is -.5%-15%+7%=-8.5%. Note, use a weighted average if you decided the strength of impact numbers should be different. For example if you think the numbers are 3, 4 and 5, the formula would be -.5*(3/12) - 15*(4/12) + 7*(5/12). As you work with probability and get better at it, the final number's magnitude will begin to communicate something to you about the timing. This must mean something to somebody. 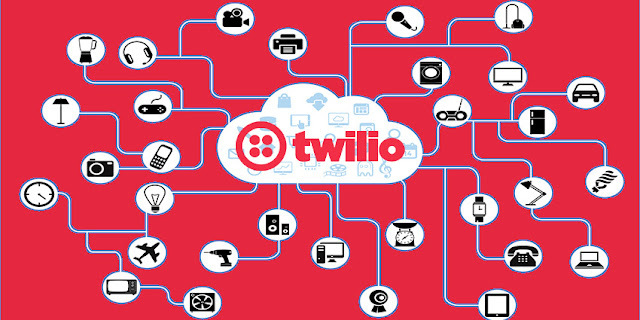 Twilio, Inc. engages in the provision of communications software, cloud-based platform and services. Its developer-first platform approach consists of programmable communications cloud, super network, and business model for innovators. The company was founded by John Wolthuis, Jeffery G. Lawson, and Evan Cooke. We'll keep TWLO's business model in mind as we analyze it. They're an enabling company - they provide tools to help other companies deliver on their objectives. They help their customers focus on their core business by providing a robust platform where they can quickly, easily and for less money (presumably) build the ancillary features they need to be successful, namely customer support. They're a B2B business using a SaaS model. They are "developer-centric". I interpret this to mean they are focusing on the developer in their sales cycle - creating something that solves problems for them and in turn, the developers become evangelists, paving the way for a "yes" with the actual decision makers. TWLO and the other companies in their peer group can be interesting. They have the ability to dominate a niche, dig a decent moat and create value for shareholders. I read one analysis on them which claimed they are a commodity business. I don't agree. Part of this analysis will look at competitive advantages now and into the future, as well as risks. This will be a peer based analysis. None of the peers are competitors to TWLO, but they're all (except one) in the same sector and industry - technology services and packaged software. Most of them are like TWLO-offering services to other companies. It will be peer-based analysis because it's the best way to give the analysis numbers context. It's also a chance to find other opportunities. The analysis will search for an investment story in the three main genres: value, income or growth. It will also review the quality of earnings. It's a fact that earnings can be manipulated and changed by accounting-driven decisions. We want earnings that are persistent and aren't the result of one-off events or management tinkering. I use an nine part quality of earnings framework based off the work of two academics, Lev & Thiagarajan. You can read their original paper here. You can read my adaptation here. The framework looks at nine areas in the financial statements: inventories, receivables, capital expenditures, research & development, gross income, selling-general-administrative expenses, sales per employees, tax rate and audit opinion. 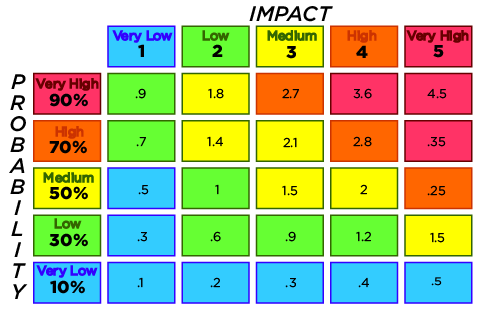 The first two, the fourth, fifth and six are compared to sales levels, capex and/or r&d are compared to industry averages (I use a peer group average as a proxy), the tax rate measures seeks to remove the effect of an earnings bump from a reduction in the tax rate and the a last one looks for a clean audit opinion. When any of these measures give a favorable signal, it gets a score of one. All the scores are summed to get a total out of nine, the higher the better. Most of the companies in the group don't have inventories. The score for them is out of eight. The four that do have inventories (TMICY, PAYC, LN & NUAN) their score is out of nine. I don't consider TWLO's score of 4/8 to be a good result. We have a strong basis for skepticism if any of the possible investment reasons involve earnings. Companies to keep our eye on include OKTA and PAYC. TWLO's management identified their key metric as base revenue growth according to their Q2 2018 conference call. We'll also look at sales per employee but we'll start with earnings growth. TWLO's been beating on quarterly earnings estimates lately, but I prefer to look at annuals - annual statements are audited and quarterlies are not and there's a lot noise in quarterly statements. Let's see how many times the company has been able to grow its earnings year over year. Each time the company increases its earnings relative to the previous year it earns a score of one. We'll constrain it to five years of data as that's all that we have for TWLO. The maximum score is four. You have to hit the "Next 10" button to find TWLO as the results are organized from highest to lowest. They scored one. That was actually in the most recent period, which is a bit of a boost. PAYC earned the highest score possible four out of four years of earnings growth. I consider that a strong result, given it also did so well in the qualities of earnings section. The chart below shows the year over year growth in revenue. Let's look at sales per employee. Nice results here - they've got the second highest sales per employee of the group. Although I don't expect this to be value story, it will still be useful to look at a couple metrics price/sales (PS) and price to sales growth (PSG) to get an idea of relative price. I'm not using the PE ratio because TWLO had negative earnings in it's most recent year. This metric tells us what it costs to buy $1 of sales. The higher the ratio, the more expensive the stock is. The rule of thumb is between one and two and less than one indicates its pretty cheap. That rule of thumb would be for a broad universe of stocks. I would bump it up for technology stocks like this, but not as high as this group. The average is almost 12 and TWLO is well over it at 18. The other two companies with possibility OKTA and PAYC are expensive too, but I would use an earnings based valuation measure for PAYC as they are profitable. This ratio takes into account the growth rate of the company in calculating its relative value. According to Backroom Analyst, a writer a Seeking Alpha, a PSG between 0 and .2 is the sweet-spot. Obviously as the ratio increases it gets more expensive. We can see that TWLO is slightly above average, however we've got a couple of stocks that might be skewing the results. When I remove AZPN (sales growth of 3%) and NUAN (negative sales growth) we get TWLO just below the average. (There are notes at the end of the analysis). TWLO not surprisingly doesn't offer a dividend. The biggest competitive advantage a company can have is to be a monopoly. That's not the case for TWLO and I don't think they ever will be. There are other players in their niche, perhaps not doing exactly what they are but companies do have choice when it comes to building out their customer care program. However, they can build a moat with an excellent product and their strategy of becoming the "developer's choice" might pay off. It looks like they are actively expanding their suite of offerings, which is a good model. If someone comes over for one solution and they like it, the hurdle to buy more solutions is lower. Basically the more they can tilt the "buy versus build" (in this case it's "rent" versus build) argument in their favor, the better off they'll be. Another advantage a company like TWLO can have is to be the dominant player in their space. I don't think they've achieved that level of success yet, but there's ample evidence this is what they are striving for it. They've made a couple of purchases of late, including one that was announced on October 16th. Strategic acquisitions are a good idea for them to achieve fast growth and market dominance. In my opinion, I think they were lucky to strike this all-stock deal at this moment, given their current price. Their 'developer-centric' model is great so long as they keep an eye on the actual decision makers, cost/benefit is always an important consideration. The SaaS model can be expensive over the long term. Tangential to this is the need to hang on to customers as they grow. They lost Uber and the reason seems to be that TWLO wasn't flexible on the pricing, Uber wanted a volume discount. I'm an outsider and I don't know the full story, but I question whether that was a good move. It raises a red flag for me about the management, it seems imprudent. Another risk that other analysts have identified is a behemoth coming into their space, Amazon Connect, specifically. Meh, competition is always a risk. The only story I see at this moment and at this price is speculation, the belief that they're going to pull something magic out of their hat and keep the party going. I would like to see growth at a reasonable price but they don't have earnings yet and with the exception of last year, they've been actually growing their loss year over year. They have growing revenue, but the rate of growth is slowing down. The two value indicators we looked at point strongly to an expensive stock. I wouldn't buy right now and I'd consider taking profits if I were long. PAYC could be interesting - it's got a good quality of earnings score and it's actually achieving earnings which have been growing, year over year. It's expensive though. Further analysis if and when the price drops could reveal an opportunity. Year over Year Growth in Earnings - not every company had five years of earnings. TTD, PVTL and DOCU only had three years of data. The maximum score they could earn is therefore two. OKTA, ZS & LN had four years of data, their maximum score is therefore three. PSG - PS is calculated as price dividend by sales per share. G is calculated as the year over year growth in sales from Y-1 to Y. Thanks for this analysis request, we hope you've enjoyed reading it as much as we enjoyed creating it. 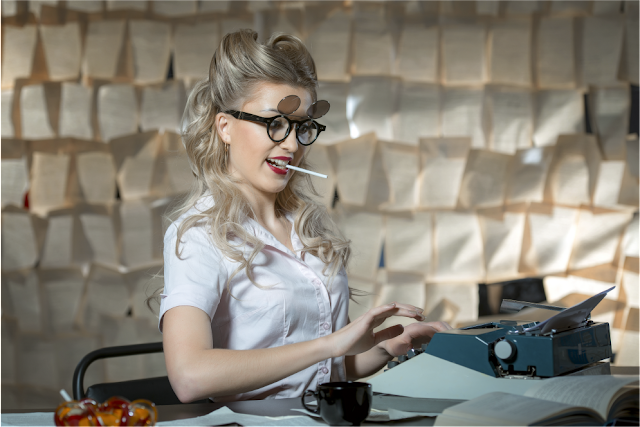 Are You an Investment Writer or Blogger? We'd love to know more about your process. Please fill out this brief 10 question survey. Expedia Group, Inc. is an online travel company, engaged in the provision of travel products and services to leisure and corporate travelers. It operates through the following segments: Core OTA, trivago, HomeAway, and Egencia. The Core OTA segment offers full range of travel and advertising services to worldwide customers through a variety of brands including: Expedia.com and Hotels.com. The trivago segment involves in sending referrals to online travel companies and travel service providers from its hotel metasearch websites. The HomeAway segment operates an online marketplace for the vacation rental industry. 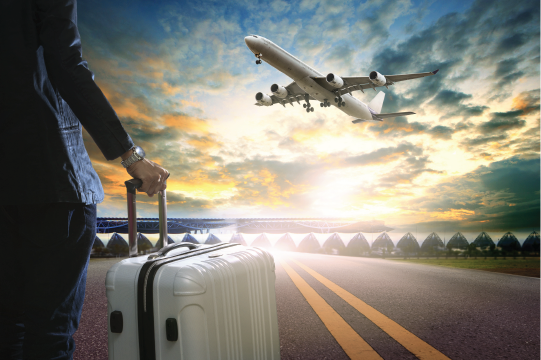 The Egencia segment manages travel services to corporate customers worldwide. Alas, we don't see the case for an upward trajectory. This will be a general analysis reviewing the following areas of EXPE: earnings quality, growth, value and dividends. We're also going to look at R&D investment as an indicator of potential competitive advantage for the group. It will also be a peer based analysis as there are advantages to performing a peer-based analysis over a single stock one including the ability to compare, benchmark as well as find other opportunities. It is a fact that earnings can be manipulated and can be changed by accounting-driven decisions. We want earnings that are persistent, can be expected to repeat and aren't the result of one-off events or management tinkering. I use an nine part quality of earnings framework based off the work of two academics, Lev & Thiagarajan. You can read their original paper here. You can read my adaptation here. However none of the companies in this group have inventories, therefore the score is out of eight. A score of 8 out 8 is excellent, 7/8 very good, 6/8 good, 5/8 tolerable, 4/8 meh, 3/8 bad, 2/8 very bad and 1 or zero out of 8 terrible. EXPE is tolerable. This measure looks at the number of years the companies have been able to achieve year over year growth. I'm looking at a six year time period so the maximum occurrence is five. BKNG achieved the maximum score of 5. If this analysis was focused on them I would look at the possibility of a growth story here, paying attention to the correlation between earnings and price growth. However, our focus is on EXPE and with a score of 3/5, it doesn't look like a growth story. The following graph lends credence to that. It shows the percentage price change over 52 weeks for each stock. EXPE has lost 21% over the past year. They've all lost except TRIP which is up 15%. We'll look at a couple of valuation measures - Ohlson Clean Surplus (OCS) and enterprise value divided by earnings before interest, taxes, depreciation and amortization (EV/EBITDA). According to the model EXPE is overvalued, as is the rest of them except RKUNF. I did play with model inputs for EXPE (I increased the ROE and decreased the dividend payout ratio) and it was still overvalued. Similar to a PE ratio, this valuation model looks at what one dollar of earnings costs the investor, but using enterprise value and EBITDA instead of price and earnings strips out the effects of different capital structures and lease versus purchase decisions. EXPE is showing a below average multiple compared to the group and it also has the second lowest value of the group at 14x, however it's still on the high side. Note, three years ago this number was 13x, so it has increased. In my opinion there is no value play here. EXPE and RKUNF are the only companies offering a dividend and EXPE's rate is $1.16/share for a yield of almost 1%. Regardless of the fact that people are price shopping on online travel agencies (OTAs), this is not a commodity industry and I think it would be a mistake for a company to get caught in that trap. From unique trips to an excellent interface to superb customer service there many different ways to differentiate and gain competitive advantage. Although the R&D spend doesn't tell the full story of competitive advantage, it may hint at the company's priorities. The travel industry was one of the first to be disrupted with the advent of the internet. There is still ample room for innovation and in fact, without constant fresh thinking, the OTAs could find someone has disrupted them. R&D spending is therefore important. Of the group, EXPE appears to budget a constant ~9% of sales. This however puts them second from the bottom in terms of percentage spend. In my opinion this company is a hold if you own it and a wait for a better price if you are considering buying, although I don't see a compelling reason to buy it. It's middle of the road in almost all of the factors - it's market cap is almost right in the middle, it's quality of earnings is acceptable - neither cause of concern or celebration. It doesn't look like a growth or a value play. It's got a dividend that has been growing, but it's a surprise to see they have one at all - it seems like they should be reinvest excess earnings in the company. To think the industry has matured and it is time to start returning cash back to investors seems a bit premature. Bausch Health Cos., Inc. engages in the development, manufacture, and market of a range of branded, generic and branded generic pharmaceuticals, medical devices and over-the-counter products. It operates through the following segments: The Bausch + Lomb/International, Branded Rx, and U.S. Diversified Products. The Bausch + Lomb/International segment consists of the sale of pharmaceutical products, over-the-counter products, and medical devices products. The Branded Rx segment comprises of pharmaceutical products related to the Salix product portfolio; dermatological product portfolio; branded pharmaceutical products, branded generic pharmaceutical products; over-the-counter products; medical device products; Bausch + Lomb products sold in Canada; and the oncology, dentistry, and health products for women. The U.S. Diversified Products segment refers to the sales in the U.S. of pharmaceutical products, over-the-counter products, and medical device products in the areas of neurology and certain other therapeutics classes, including aesthetics and generic products in the U.S. It lost over 70% of its market value in approximately 100 days in Q2/Q3 of 2015, eventually bottoming out at $11.20 from a high of $347.84. Lawsuits, investigations, criminal charges followed. It replaced CEO Michael Pearson and installed Joseph Papa. Papa has divested some of the purchases made under his predecessor, reduced debt and changed the company's name to Bausch Health. I believe that much of Valeant's problems stemmed from its culture. When a company falls in such a spectacular fashion, more likely than not, there's a management component and in a situation like this, when a new company rises from the ashes of the old one, we need to know if there is still rot at the core. Has BHC fundamentally changed from Valeant and does its future look promising? This analysis will review the board of directors and management team, the company's financial health, R&D investment, debt, growth potential, valuation and income outlook. A Globe and Mail article, published on July 30, 2015 less than a week before the beginning of the Valeant crash, unintentionally and ironically wrote a treatise on what was probably at the core of Valeant's issues, a policy of aligning management rewards with share performance, to the determinant of building long-term value. There are currently ten members on the board of directors, only one remains from its days as Valeant. It is also a reasonably diversified group, drawing on people with different backgrounds and expertise. It's also a largely independent. The Management Team is likewise very diverse and probably has a good blend of new blood while still preserving the knowledge base of people from its Valeant days. Both elements of leadership look strong. We'll look at BHC's quality of earnings to determine company's financial health. It is a fact that earnings can be manipulated and they can be improved by accounting-driven decisions. We want earnings that are persistent, can be expected to repeat and aren't the result of one-off events or management tinkering. I use an nine part quality of earnings framework based off the work of two academics, Lev & Thiagarajan. You can read their original paper here. You can read my adaptation here. The framework looks at nine areas in the financial statements: inventories, receivables, capital expenditures, research & development, gross income, selling-general-administrative expenses, sales per employees, tax rate and audit opinion. The first two, the fourth, fifth and six are compared to sales levels, capex and/or r&d are compared to industry averages (I use a peer group average as a proxy), the tax rate measures seeks to remove the effect of an earnings bump from a reduction in the tax rate and the a last one looks for a clean audit opinion. When any of these measures give a favourable signal, I give it a score of one. All the scores are summed to get a total out of nine, the higher the better. BHC scored a three out of nine, an abysmal score. The company has recently announced a return to profitability, and the graph below demonstrates it. However given their quality of earnings score and a simple review of their declining gross margin and revenue (accelerating decline in revenue's case) it looks though they managed it with manipulation, but I need to be clear. I don't mean they created fictitious sales or anything like that. I just mean they made accounting choices that goosed their earnings. I usually feel strongly about good quality of earnings, but should it be overlooked in this case? I imagine righting a ship that capsized in a maelstrom is tough work. Maybe Papa should be the given the benefit of the doubt, at least for a time. One of the features of the company's Valeant days was little spending in R&D. Let's look at BHC's R&D spend as a percentage to sales. It's good to see R&D going up (although keep in mind that revenue has been declining for the past couple of years. However even at it's peak of 4.35% of sales, it's a small number. When I look at the R&D to Sales spend of some of BHC's competitors, we can see that they are below the average of 10%, but within the range. The company has been lauded for reducing debt and streamlining its focus, undoing part of what boosted its price before August 2015. Let's say we're from Missouri and want to see for ourselves. Indeed the debt has come down relative to it's peek, however it's still well above it's 2013/2014 levels and what it's paying out in interest is concerning. The pre-tax interest coverage ratio, EBIT/interest, is still declining. meaning its debt burden is getting worse (although at a slower pace). I believe that if there's an investment opportunity, it'll be either a growth, income or value story. You might even have two out of the three. So, is BHC a potential growth company? There's not a lot of data for Papa's tenure at BHC and the stock hasn't returned to the highs it experienced when Papa was first brought on. BHC has increased it's quarterly EPS three out of a possible six times. This doesn't look like a growth story and coupled with the poor quality of earnings results I wouldn't buy the stock for growth. We're going to look at several valuation measures - the Ohlson Clean Surplus (OCS), Enterprise Value/Earnings before Interest, Taxes, Depreciation and Amortization (EV/EBITDA), the PE ratio, and the Discounted Cash Flow Model. Using the OCS, BHC does appear to be undervalued. Using a discount rate of 15% (the calculated rate is strange owing to its negative beta) and the current return on equity of 43% gives a theoretical price of $94. However that's a fairly high return on equity. Reducing it by 55% bring the price of the stock into fair valuation territory. So provided the future ROE is something greater than 24%, the stock is undervalued. The EV/EBITDA for the most recent year is 10.46, dropping from 18.16 in Y-3. Looking at BHC's peers we can see an average EV/EBITDA of 14, another clue BHC might be undervalued. BHC's TTM PE ratio of 2.9 is quite low. I put together a quick and dirty DCF using the firm's rate of 15% used in the OCS, free cash flow per share and growth equal to zero. The calculation of 7.41/.15 = $49.42, a premium of 45%. BHC is not currently offering a dividend so this is not an income story. The analysis suggests BHC could be a value play. Although I don't like a situation with a bad quality of earnings score, I would consider forgiving it for the reasons above. However this company's predecessor was involved in activities that could have destroyed it. The market may not be so forgiving and I don't just mean the stock market. The company has a lot of work ahead of it to regain the trust it lost with its customers.